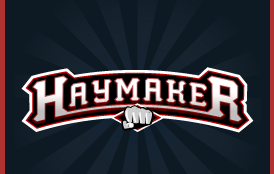 Coming up this week on DraftKings is the 25K Haymaker Challenge. A $3 entry fee gets you into the $25K Haymaker (Total Prizes) with a$4,000 top prize, is going to be open to the first 10K that sign up. Now, if you are a avid follower of UFC/MMA, this will definitely give you an advantage over those whom are just putting down a few bucks for a chance. But rest assure, anyone can pick the correct five fighters, so it’s always worth taking a shot. Here’s a quick synopsis on how this works, and its pretty simple. You’re given the fighters of all of the fights for that nights event to choose from. They’re all given a value and DraftKings gives you X amount to elect five fighters. Typically if Ronda Rousey is the headliner for said event, she’s going to cost you a pretty penny to put on your team. You’re then going to have to strategize your next 4 fighters to remain under the cap amount they gave you. Significant Strikes are any Distance Strike or Clinch/Ground Strikes that are considered “Power Strikes” by official scorers. First, Barnett is going to want to heavily ground-and-pound Nelson, and with SS(Significant Strikes) along with the take down and ground points, he’ll be able to rack up from good fantasy points. Second, Nelson is just going to knock him out cold. He might to get a ton of points from all of the categories but if Barnett isn’t able to get Nelson to the ground, this fight might end quickly with Barnett not knowing what day it is. My prediction is that Nelson is able to stay on his feet and land a decent amount of strikes, racking up at least 20 points through SS, 6 points coming from take-downs, and 70 points with a second-round knockout. I don’t think he reaches the 100-point barrier, but I wouldn’t be totally shocked if he did.